The Canadian Firefighters Memorial is located in the heart of Canada’s Capital at Le Breton Flats, site of the Great Ottawa Fire of 1900. It is a national monument to all firefighters in Canada and their contributions to the health, safety and prosperity of our nation. 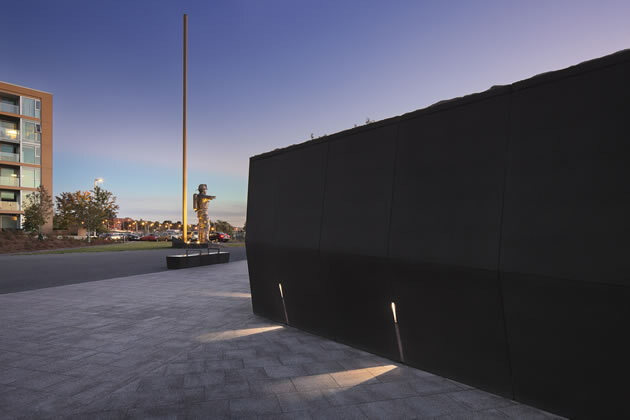 The Canadian Firefighters Memorial was created in 2012 by Vancouver artist Douglas Coupland and Mary Tremain, partner at PLANT Architect Inc. of Toronto. It’s a memorial park, part of an urban planning memorial ensemble a mise-en-scène of characters integrated into a Canadian Landscape and connected with the Canadian War Museum. 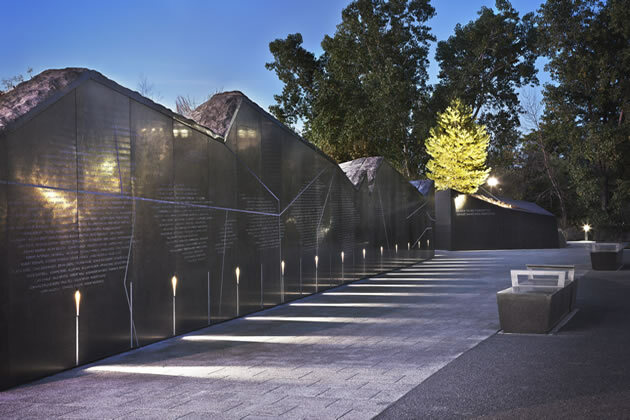 The walkways that crosses the park, are emphasizes by SIMES with BLINKER bollards while for the magnificent Granite Name Wall, BLINKER wall recessed version, that design cuts in the stone, to further accentuate the dramatic nature of the event and the memory purpose of this monument. 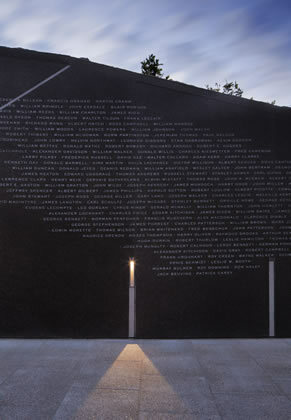 The magnificent Granite Name Wall stands as an abstract interpretation of the Canadian map its surface carved with the names of fallen firefighters. 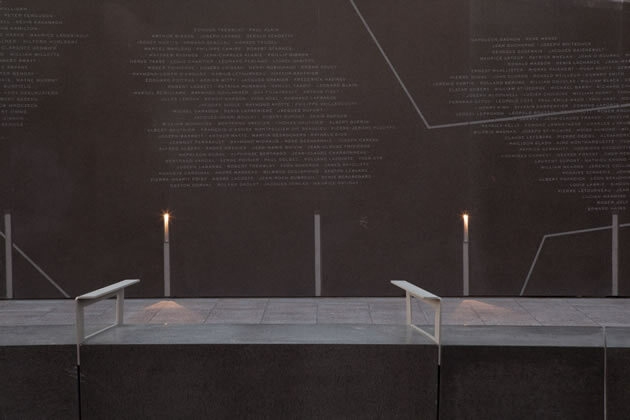 During the September service, newly engraved names of the recently departed are shroud in black velvet, revealed during the ceremony and given to the widow(er).